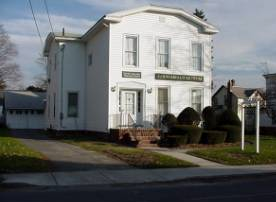 The Museum is located at 166 Main Street in Hoosick Falls. or by appointment, or when you see a car in the driveway. The Historical Society also maintains a Facebook page. See all Hoosick Falls events.